Services - Neptune Designs - Custom Jeweler & Fine Jewelry Store in Key West, FL. 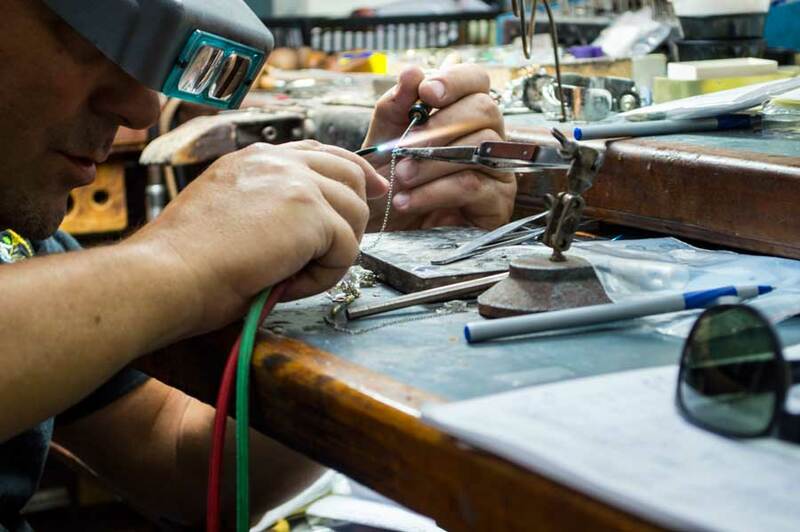 From custom design to repair of your favorite piece, Neptune designs can help you realize your jewelry dreams. Do you have a family heirloom and are unsure of the value. Neptune Designs can write appraisals for insurance and personal records. Is your favorite piece looking dull or dingy? Our staff can also clean your jewelry and have it looking as good as new. Neptune Designs is a full service jewelry shop with in house master jewelers. Featuring services like repairs and cleaning of your favorite pieces. We can bring your tired looking pieces back to life. Custom design and creation of one of a kind pieces is our specialty. Come in and talk with us about what you want. If you don’t see it in the shop, most likely, we can make it for you. Offering appraisal and consignment services for fine jewelry. If you have a piece and don’t know the worth, bring it in. We can have our experienced jeweler appraise the piece and test the metal and stones for authenticity.